If I don’t blow my own trumpet nobody else is going to do it for me*, so I’d like to announce that — TA RA! 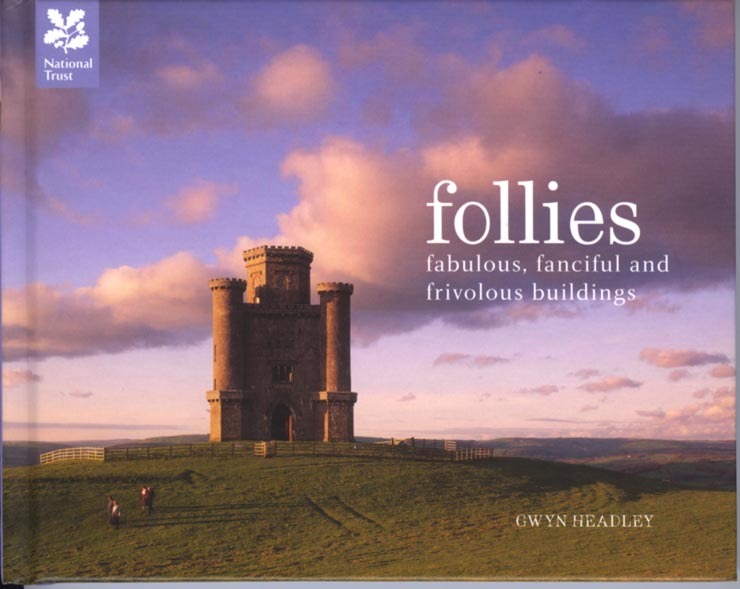 — today is the publication day of my latest book Follies: Fabulous, Fanciful and Frivolous Buildings. It’s published by the National Trust and it has lots of lovely photographs and just four by fotoLibra members. Out of my hands, I’m afraid. This is what it looks like, and if you’d like to read the story of how it came about, I’ve gone into a lot more detail on my personal fotoLibrarian blog, right here. This is a hardback book and has nothing to do with our own Heritage Ebooks on follies, except sharing an author. fotoLibra members who supplied images of follies under the advanceImages scheme will be getting notifications and sales data built in to the new fotoLibra Version 5.0 website, shortly to be launched. There will be an announcement on this blog. One note of naked self-interest — if you are kind enough to buy it, please try and choose a retailer other than Amazon, where deep discounts mean someone has to be cut out of the equation if the publisher and bookseller are to make any money. And yes, you’ve guessed it — it’s the author. But I can supply signed copies for £8.99 plus £2.20 postage in the UK if you email me, or let me know in a comment to this post.